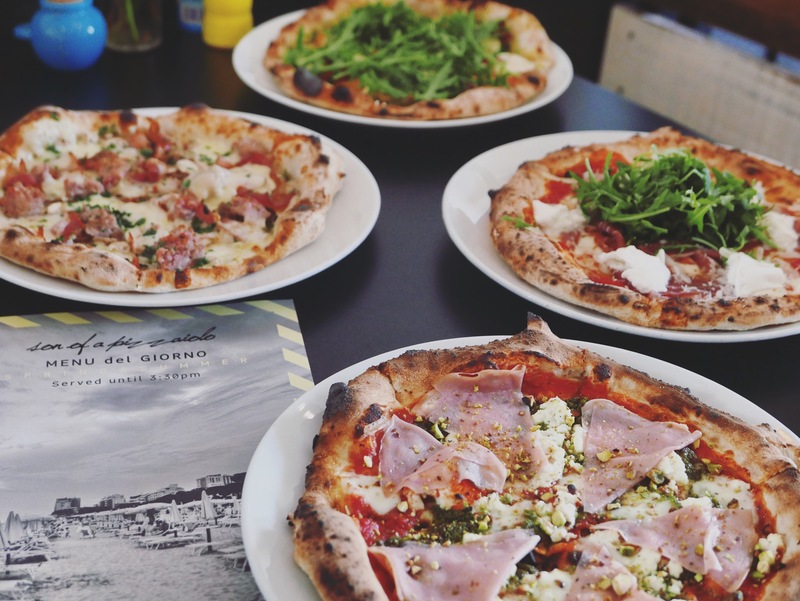 Son of a Pizzaiolo knows pizza. 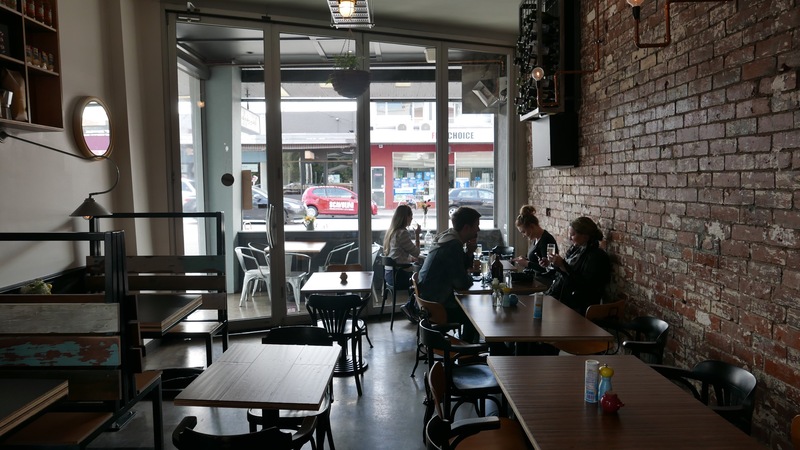 A sister restaurant of Woodfire in Ivanhoe, this newish Thornbury cafe and restaurant does great woodfired pizza also. 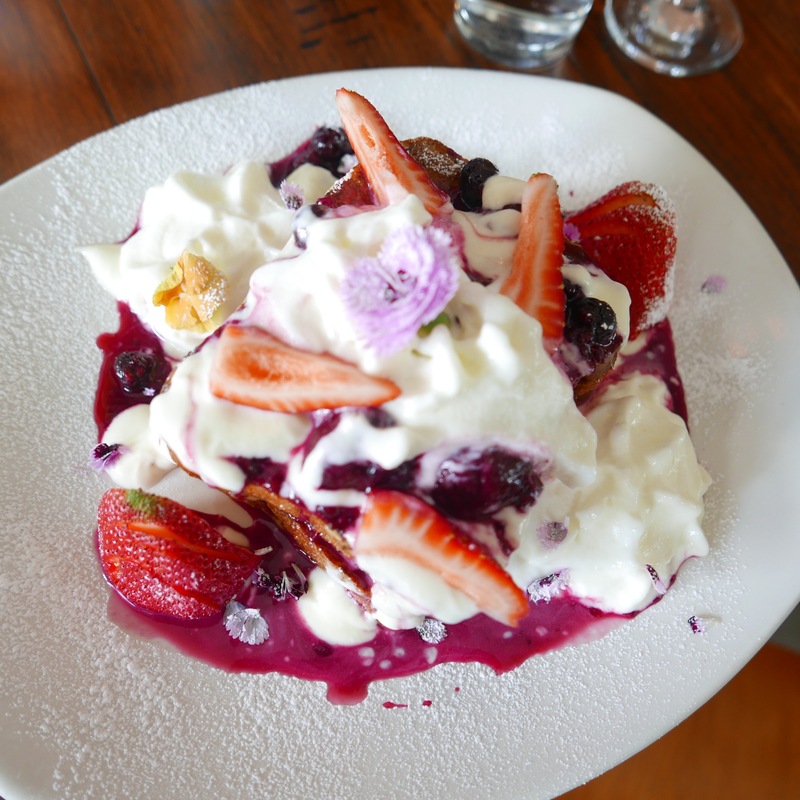 However, the name of this hip new cafe and eaterys’ name is deceptive, because in addition to great pizza, SOP also does some incredible brunch and lunch options. 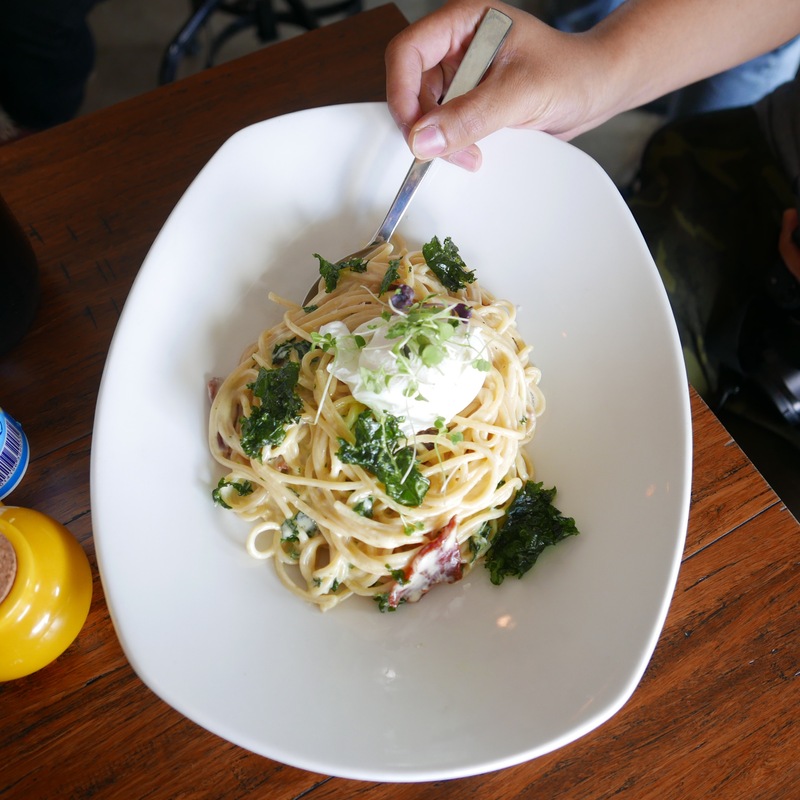 From amazing pancakes to a nourishing super salad, there is much more than just pizza at this rustic styled, warm and welcoming eatery. 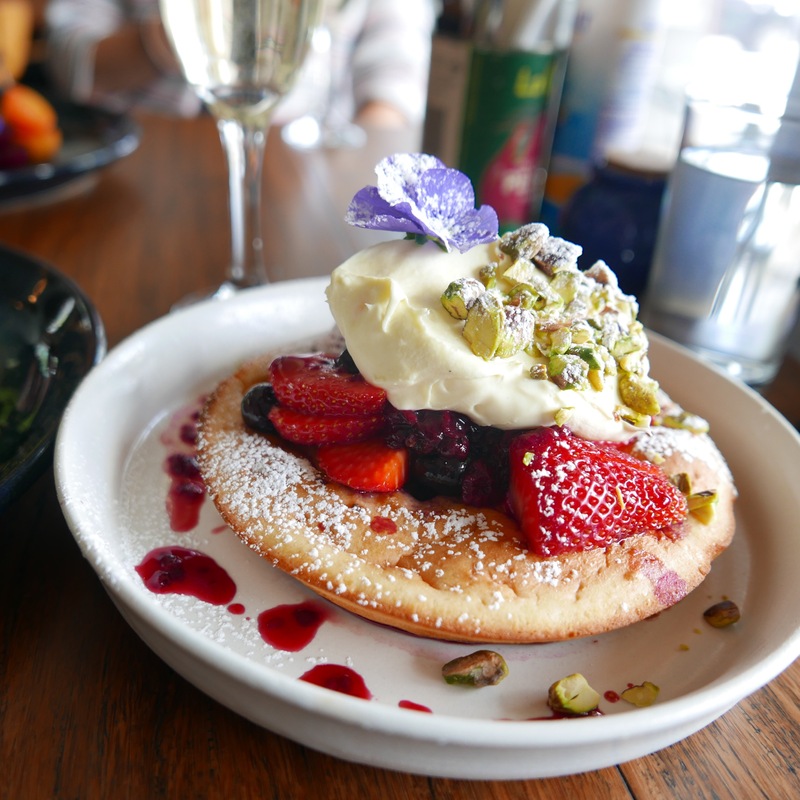 I attended as part of a small bloggers table visiting for brunch on a Saturday recently, which meant we got to order ALL the food. 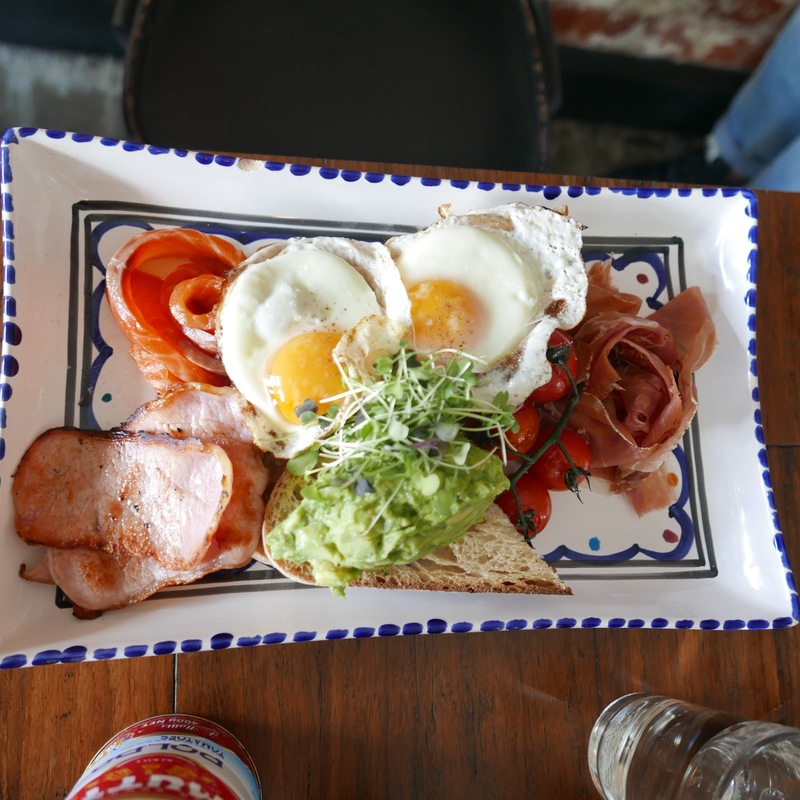 Luckily, with the same motives, we were happy to all order different food so we could photograph and sample a large range of the brunch and lunch options on offer… Plus, I arrived first and got first pick. Boo-yah! The Ancient Super Grain salad is the perfect nourishing meal, fitting for when you are super hungry but want something good for you. 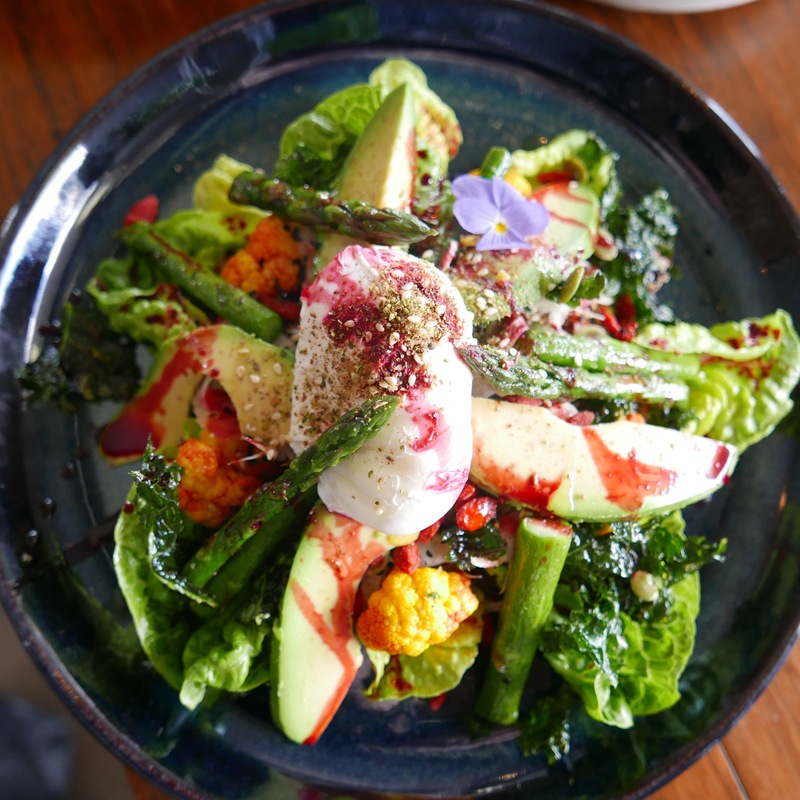 I have said in previous posts that if I am going to order a salad for breakfast, it needs to be substantial and this one is chock full of yummy ingredients like quinoa, avocado, goji berries, asparagus, fennel, yellow cauliflower, pumpkin seeds, poached eggs and so on… Yep, this ticks the substantial box. 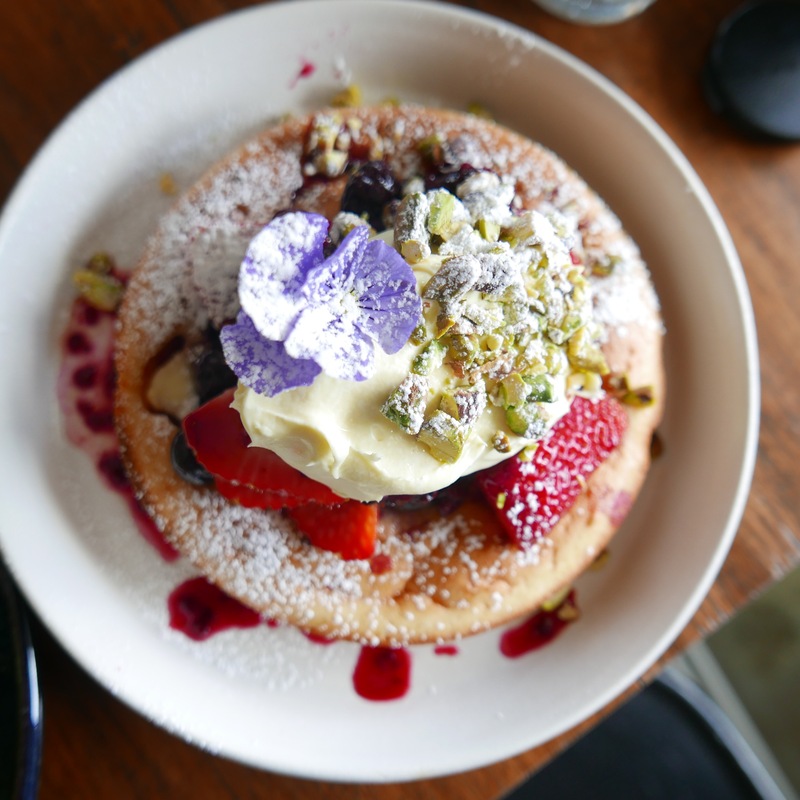 I am not a huge sweet breakfast fan but I adored the mixed berry hotcake- definitely not to be mistaken with pancakes, this was a large, dense but fluffy ricotta hotcake covered with berry coulis, rich marscapone, fresh berries and crunchy pistachios. 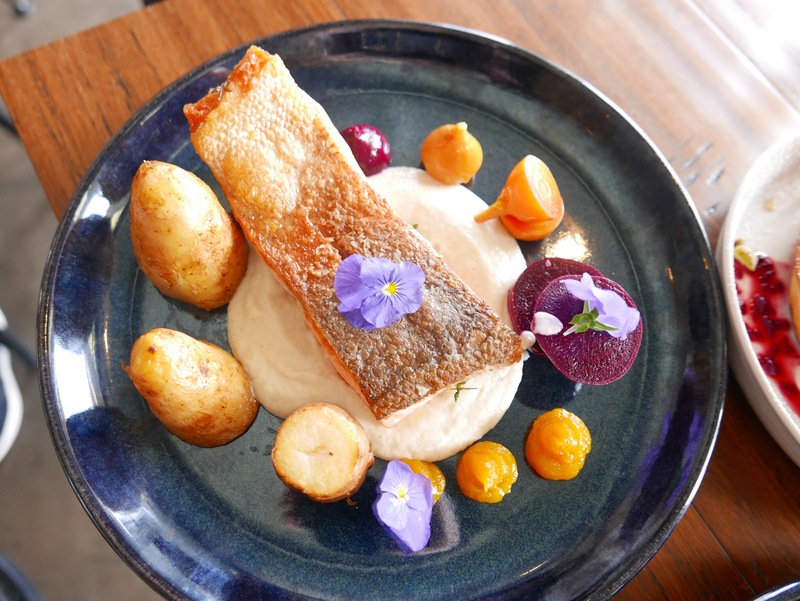 The stand-out brunch option for me was a delightful crispy skinned ocean trout with cauliflower puree, kipfler potatoes, pickled baby beets and apricot preserve. 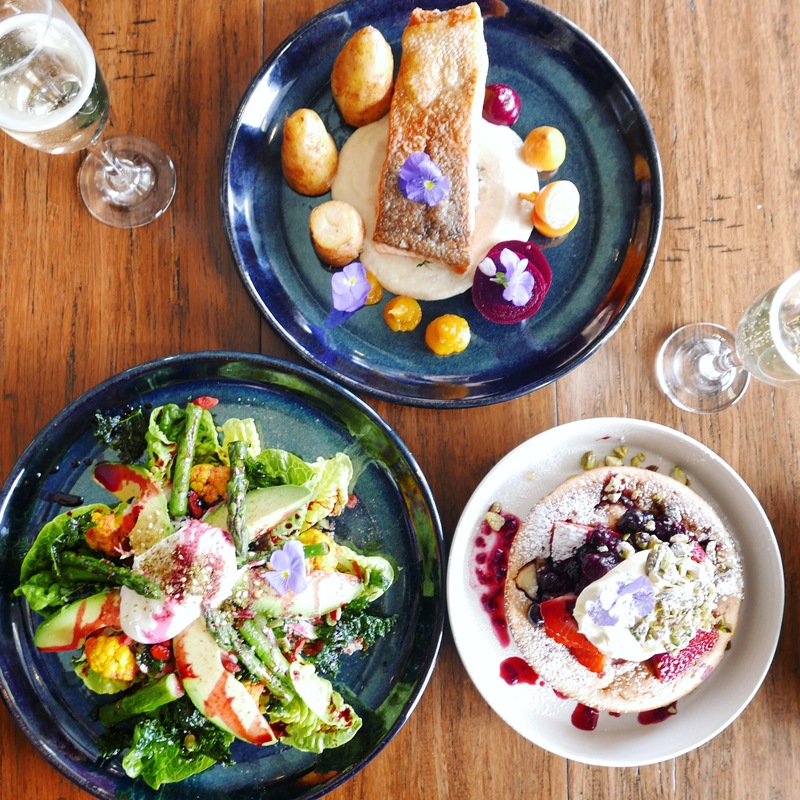 The sweetness of the apricot and beets was a lovely addition to the perfectly cooked trout and creamy cauliflower. 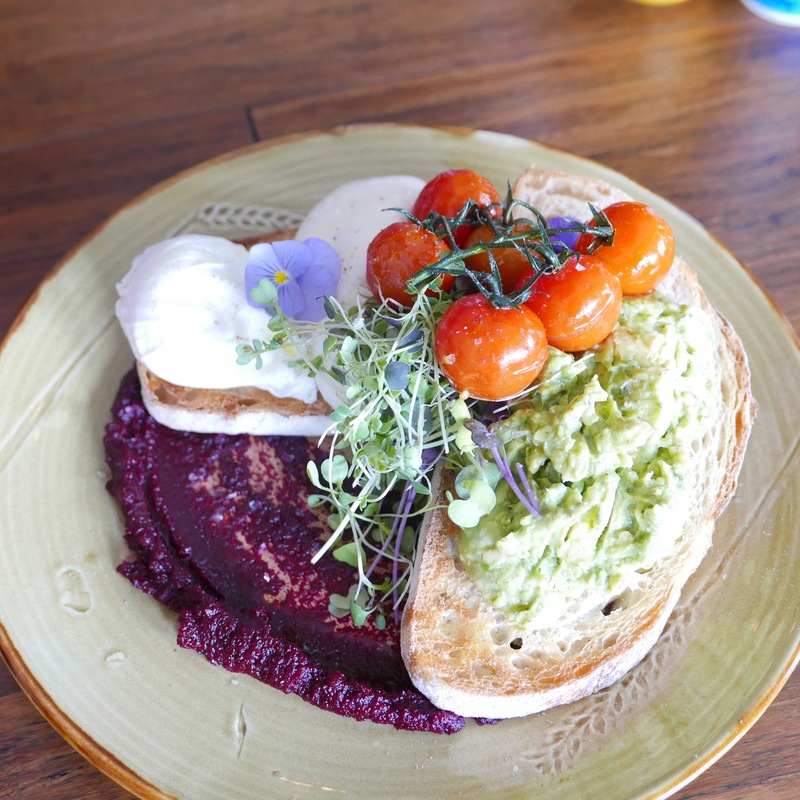 The other bloggers also tried an array of delicious options such as the smashed avo, breakfast board and brunch spaghetti. 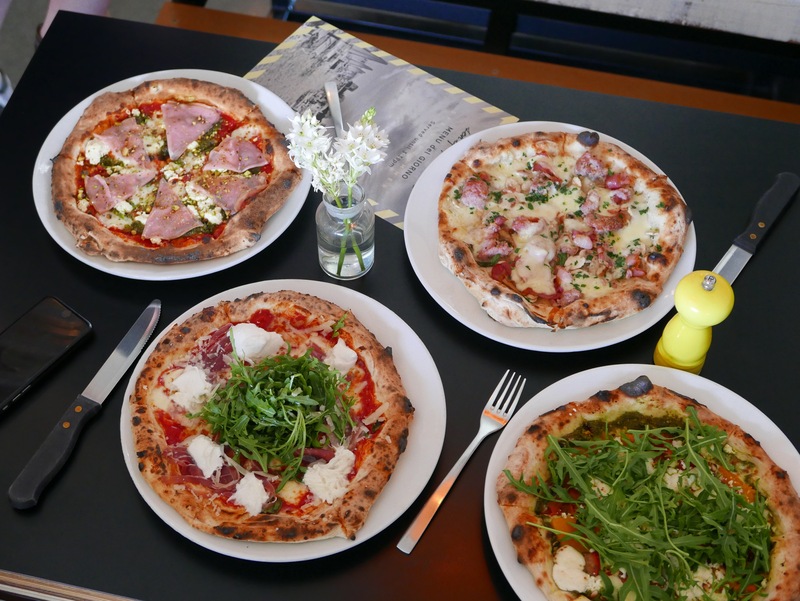 As if this wasn’t enough, we were treated to a last minute pizza tasting session; as food bloggers, I guess it is in our job description to ‘force’ ourselves to eat a second course even when we are out to brunch! 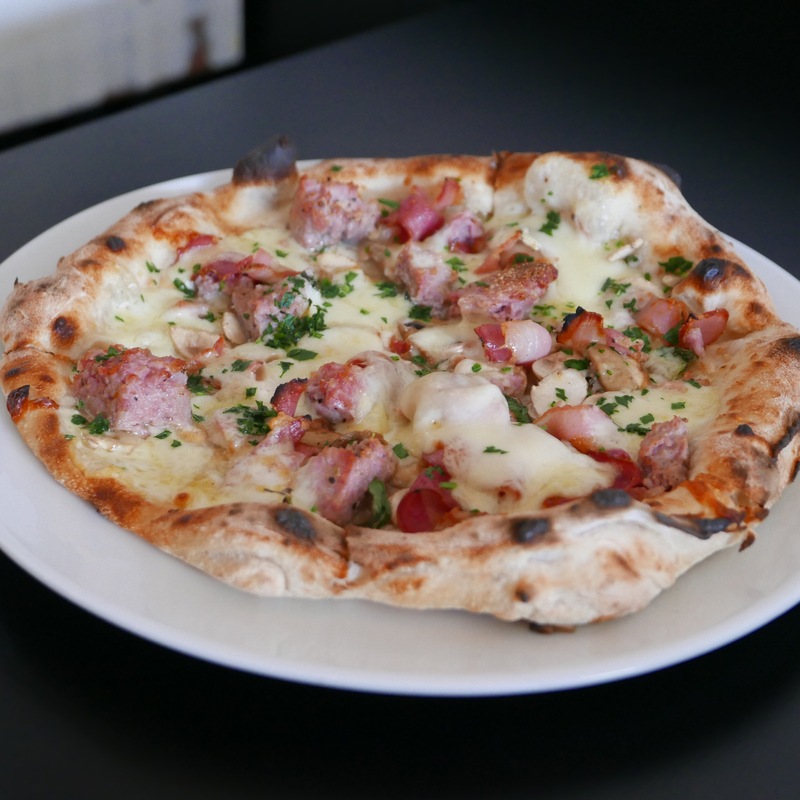 Not surprisingly, the pizzas were wood-fired perfection, with a range of different toppings. 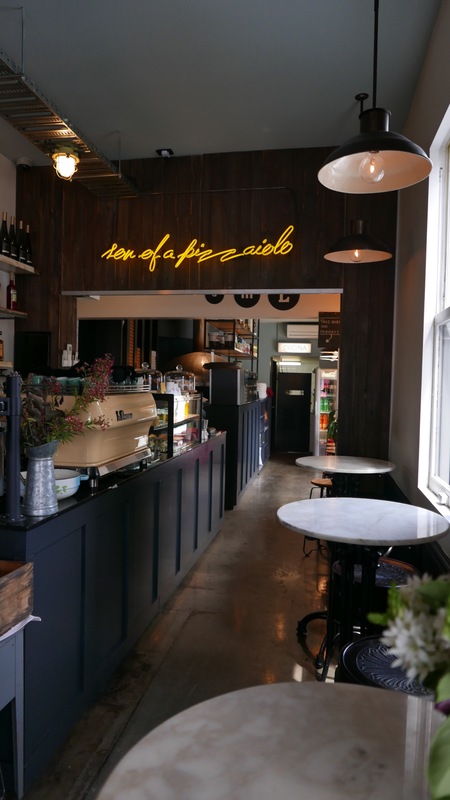 Son of a Pizzaiolo is a new little gem in Thornbury, delivering a lot more than its’ name suggests it would. 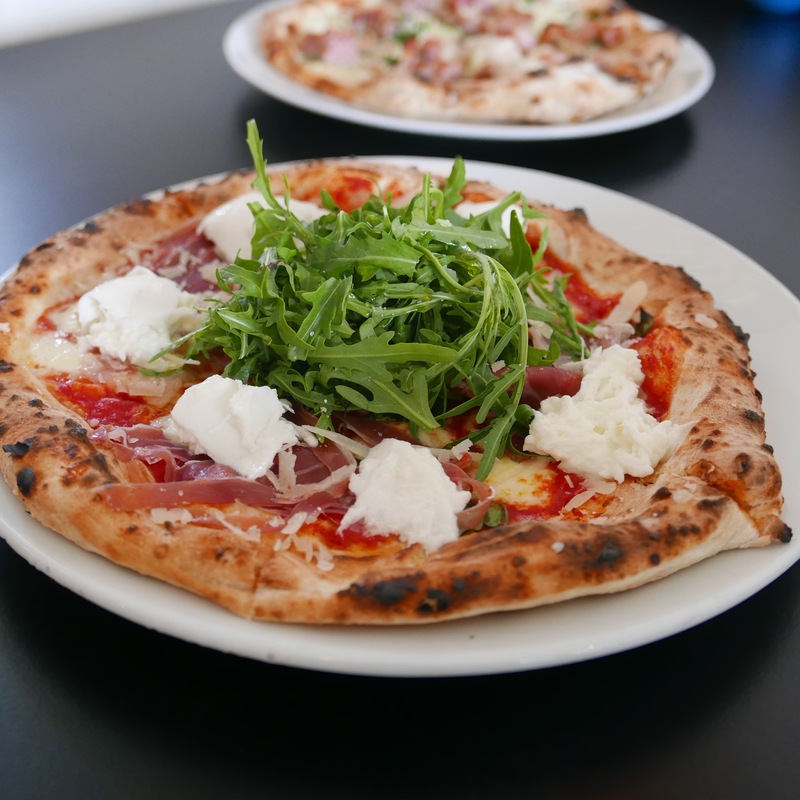 Don’t count this out as purely a pizza joint, but visit for breakfast, lunch or dinner and try all that it has to offer. 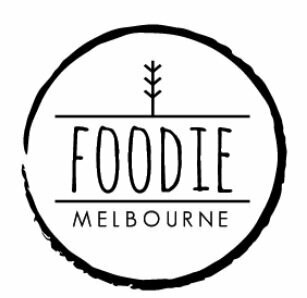 Please note: Foodie Melbourne dined as a guest of Son of a Pizzaiolo, but all opinions are genuine. I love love love this place man! I didn’t know that they do brunch now. DO they still do the brunch service? They sure do!! And it’s amazing!